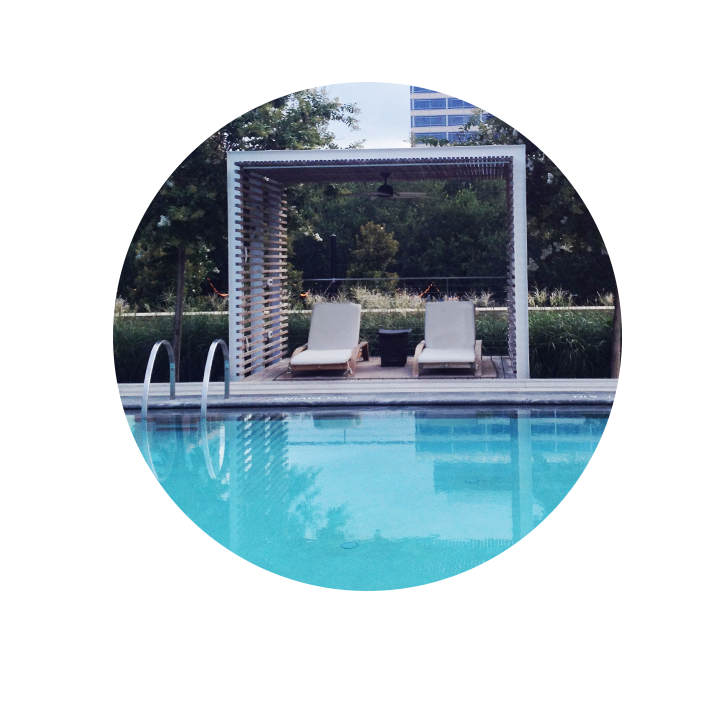 Looking for luxury this summer in Dallas? Look no further than Museum Tower Dallas. 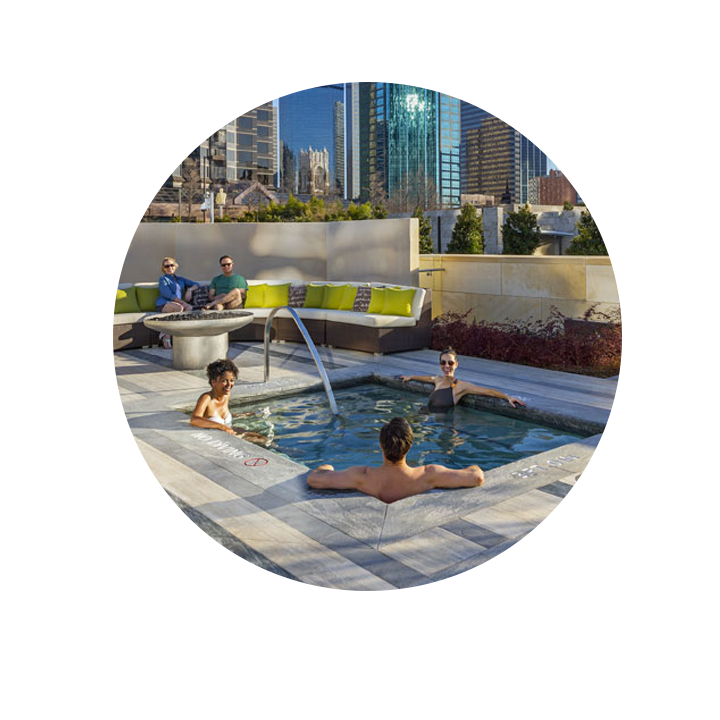 A sparkling outdoor pool and hot tub is one of the many luxurious, beautifully designed amenities our residents enjoy at Museum Tower. Experience it yourself and get a glimpse of life at Museum Tower Dallas by scheduling a special private sunset tour. We'd love to pour you your favorite beverage and show you around. A cornerstone feature of life at Museum Tower is the incredible, attentive and personal service you'll receive from all Museum Tower staff--even when you're soaking up sun poolside. A pool butler is on call to deliver you fresh fruit and a chilled beverage from inside the Museum Tower Terrace Lounge. Or, we would be delighted to order and pick up your favorite food and drink from restaurants nearby Museum Tower Dallas. Forget your sunscreen? No problem. Our pool butler has some of your favorite sunscreen brands available for your use. 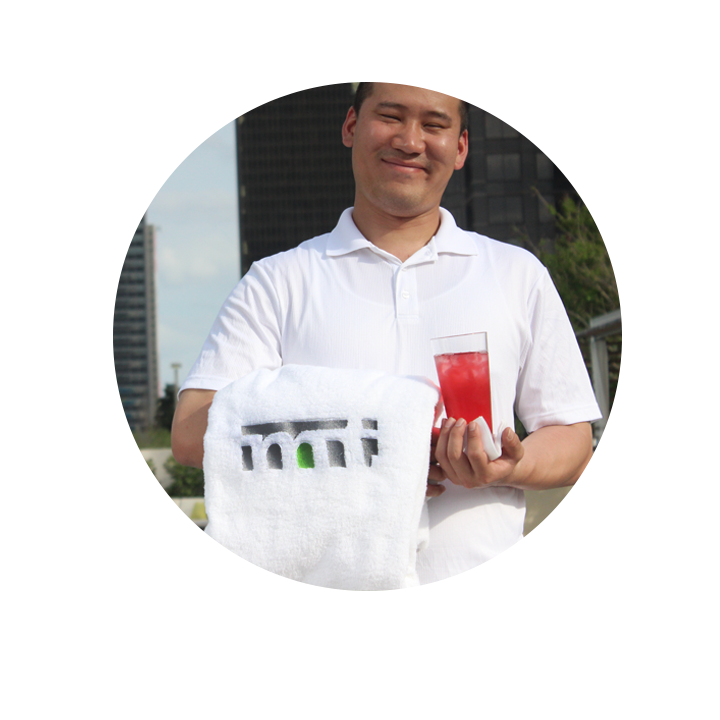 And when you're ready to go up to your high rise, our pool butler will hand-deliver a fresh Museum Tower Dallas towel. Our pool area is also a phenomenal place to entertain family and friends. Fire up our high-quality stainless steel grill to cook classic summertime fare just how you like it. Gather around the built-in fire pit or near the hot tub. Our pool area is certainly prime location to see the best sunset in Dallas, too. into personal relaxation in our private cabanas. A cushioned lounge chair awaits you. Each of Museum Tower Dallas' private cabanas also have a ceiling fan to keep you extra cool.